The Forum Blog is publishing a series about women's history and historic preservation. This post is the first case study in the series. Interested in discussing this post with other readers? Sign up for Forum Connect. When you imagine the Santa Fe Trail, what do you see? Prairie schooners? Rough men in beards drinking at a trading post? Buffalo grazing in waist-high grass? Now imagine that you are visiting the trailside settlement that was the last home of Kit Carson. Does the picture focus more? Perhaps you see buckskin jackets and long rifles. 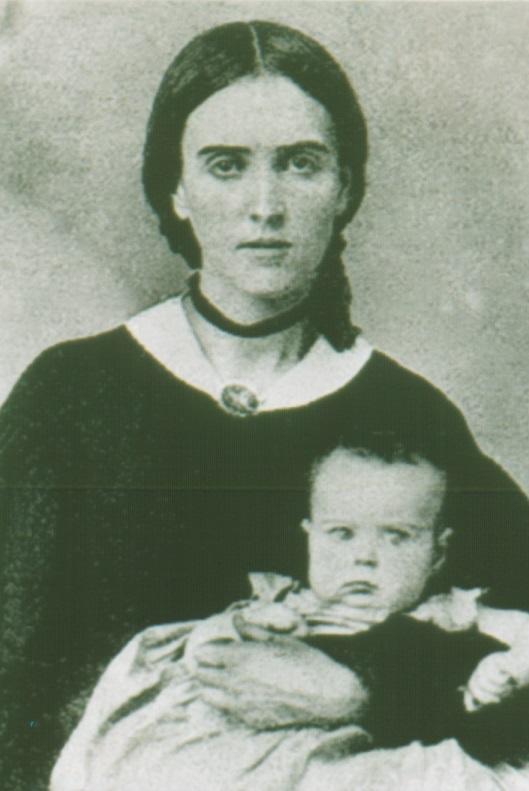 Replace those images with a real picture of Kit Carson’s wife, Josefa Jaramillo Carson, and their son, Kit Carson Jr. Does she look like a denizen of the Santa Fe Trail? Well she ought to, because, like Kit, Josefa lived along the trail—at Boggsville, Colorado, a National Trust National Treasure. Despite the familiar trope of solitary scouts and traders, men like Kit Carson often negotiated their world with the help of women. And like Josefa Carson, those women were likely to be from a different cultural background. In Trails: Toward a New Western History, Peggy Pascoe wrote: “Scholars are beginning to tell a different story of intercultural contact, one in which women in general—and women of color in particular—are at the center.” That book was published in 1991, so it seems time to ask: Have historic sites caught up with those scholars? Are they telling this different story? Boggsville, Colorado, is just the kind of place Pascoe meant. 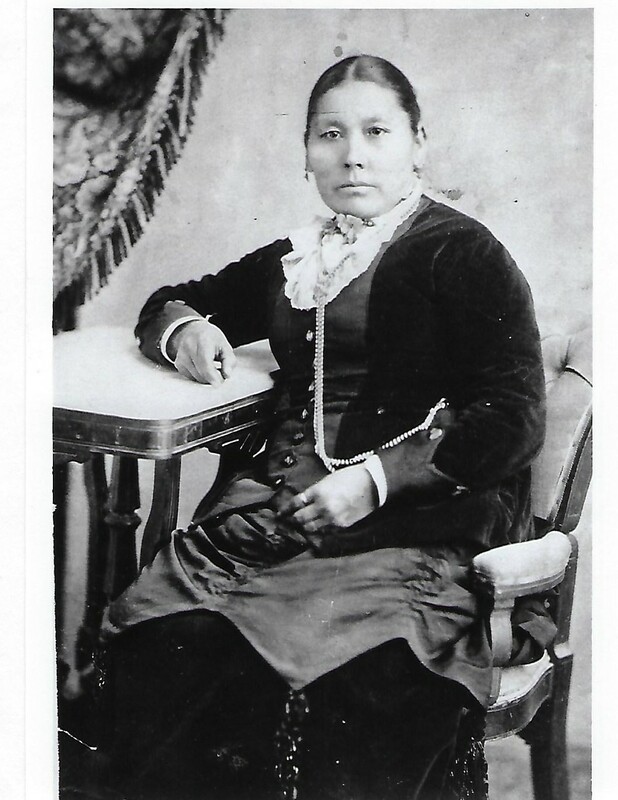 There, Josefa lived among four other women relatives from the influential Jaramillo family of Taos, New Mexico. Cornelio Vigil, the alcade or mayor of Taos, was related to the Jaramillos, and it was their claim to the 4 million–acre Vigil-St. Vrain Mexican land grant that made Boggsville possible. Josefa’s niece and niece’s husband, Rumalda and Thomas Boggs, were the first to settle in the town. One newspaper reporter from the time credited Thomas as an “enterprising Yankee,” but the 1870 census shows that it was Rumalda who owned the land. These Hispanic women were joined at Boggsville by Amache Ochinee Prowers of the Southern Cheyenne nation. Her father, Lone Bear, was a traditional leader and one of the hundreds of Cheyenne killed in the Sand Creek Massacre, which stood out as unprovoked slaughter even in the age of Manifest Destiny. Because of her family’s loss, Amache, her two daughters, and her mother were each given parcels of land along the Arkansas River as a form of reparation. It was on this land that her husband, John Prowers, would begin what became a cattle empire. 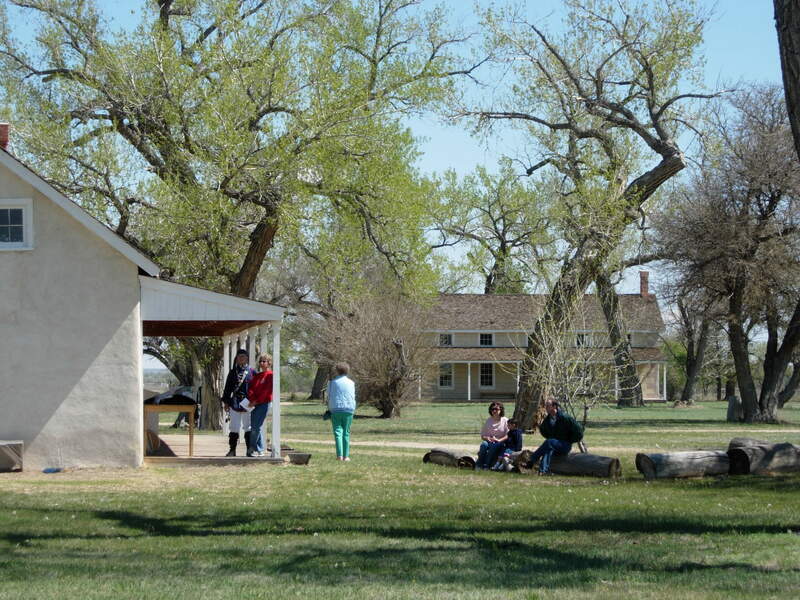 Today, the historic site of Boggsville continues to host Santa Fe Trail visitors. The site’s crown jewels are two beautifully restored adobes, one of which housed the Boggs family and the other the Prowers family. Although male exploits often dominate written histories, other resources can be brought to bear at historic sites—including the sites themselves. Not everyone writes—not everyone can—but everyone eats, sleeps, and goes about their lives in a world they shape around them. As such, architecture and archaeology can be powerful avenues for enriching site interpretation. A great example is Andrew Jackson’s Hermitage, where archaeology has broadened the interpretive reach to Jackson’s wife, Rachel, and shed light on how enslaved women and men supported the household. Archaeological research highlights how the cultural background of Rumalda Boggs and Amache Ochinee Prowers contributed to their community’s success. At the Boggs house, excavations revealed the footers of an horno or outdoor oven. Common in New Mexico, hornos could properly prepare foods that would have been familiar to Hispanic traders and hired hands. At the Prowers house, a portion of a stone pestle attests to Amache Prowers processing local wild herbs and foods. These would have been an appropriate welcome for the Cheyenne, who continued to visit the site well after the nation had been removed to a reservation in Oklahoma. The houses themselves are perhaps the primary artifacts that speak to cultural diversity along the Santa Fe Trail—as much hybrids as the families that lived in them. Portions of the original plaster recovered from excavations of both houses had been painted with a grid, suggesting the use of a practice called “tattooing,” which made the front of the houses appear, from a distance, to be made of stone. Both houses were originally U-shaped, and the Boggs house opened to the south to take advantage of the winter sun. The courtyard of the Prowers house, on the other hand, faced to the east, which meant that Amache could continue the Cheyenne custom of greeting the rising sun each day, albeit from her courtyard rather than the opening of a tipi. While early site interpretation emphasized the men of Boggsville, the Pioneer Historical Society of Bent County, which manages the site, was ahead of its time in embracing the results of archaeological, archival, and oral history research. Its approach focuses on intercultural exchange; on the innovative architecture of the site; and yes, on the role of women of color. This more complicated storyline works in part by reaffirming links to a network of historic sites—like the Sand Creek Massacre National Historic Site—and it attracts those who are looking for diverse and authentic narratives in a region fraught with Hollywood-style mythologizing. Indeed, the contribution of Rumalda and Amache to Colorado’s history is called out in a recent travel guide by Denver-based 5280 Magazine. 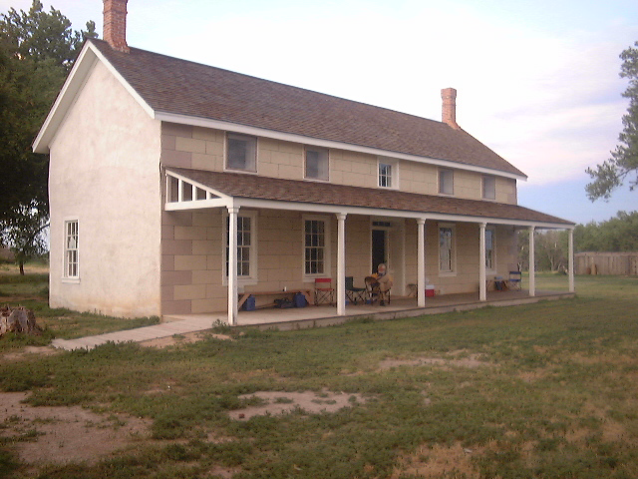 Boggsville is one of the seven featured southeast Colorado destinations, and the role of these “pioneering women” is highlighted in both text and graphics. Dr. Bonnie J. Clark is an associate professor of anthropology at the University of Denver where she also serves as the Curator for Archaeology. She excavated Amache Ochinee Prowers’ house at Boggsville.